Matalan announces charity collaboration with Alder Hey | HELLO! For the third consecutive year, Matalan has announced a Christmas collaboration with Alder Hey Children's charity. It follows the brand's hugely successful 2014 and 2015 campaigns – you remember the Alphabet Scarves and the Beanie vs. Bobble?! 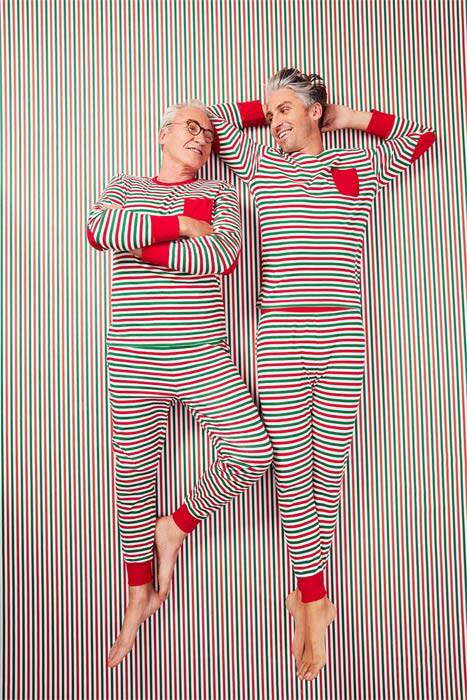 2016's campaign is entitled 'Get Your Stripes' and features a range of red, white and green striped pyjamas – very fitting for the upcoming festive season! With prices ranging from £2-£10, all profits from the sales of the collection will go directly to Alder Hey. "I am incredibly proud of our partnership with Alder Hey Children's Charity which has seen us raise over £1.3million for this amazing cause," said Matalan CEO Jason Hargreaves. "The work the charity is doing is so important, the partnership allows us to be part of something truly special, family is at the heart of our business so to be able to support such a worthy cause is an honour. "We are confident that we can make this year's campaign even bigger and better with the help of our fantastic customers and of course some supportive celebrities!" Anna Friel, Alesha Dixon and George Lamb are all involved in this year's campaign, while the previous initiatives saw megastars Justin Bieber and Britney Spears get involved.